Outdoor Health at the Playground !! Met some friends over the weekend. one friend asked me why living a healthy lifestle seems so easy for me. I replied, wouldn’t use the word ‘easy’, however just try to keep it simple. out of it….which I personally feel is NOT true !!! Rules… As parents we are famous for making them. As kids we more often than not hated them. Young and old, we all feel a need structure in our lives. Simply … because it works. which build functional strength you can use in everyday life. muscles by decreasing your heart rate and increasing flexibility. to getting faster results with only 3 workouts a week. Remember never too late to enjoy a simple Boundryless Workout and Life Everyone !! 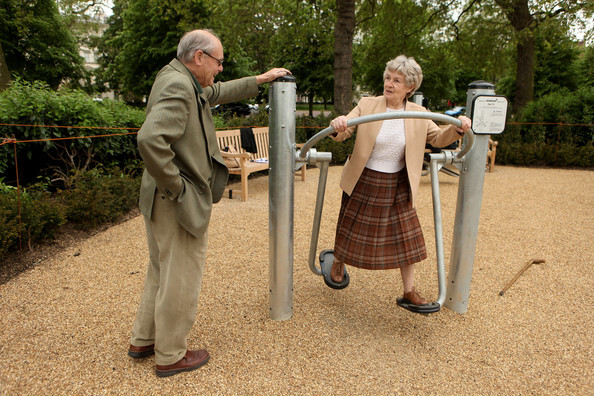 Never too late to Exercise and Enjoy Life !